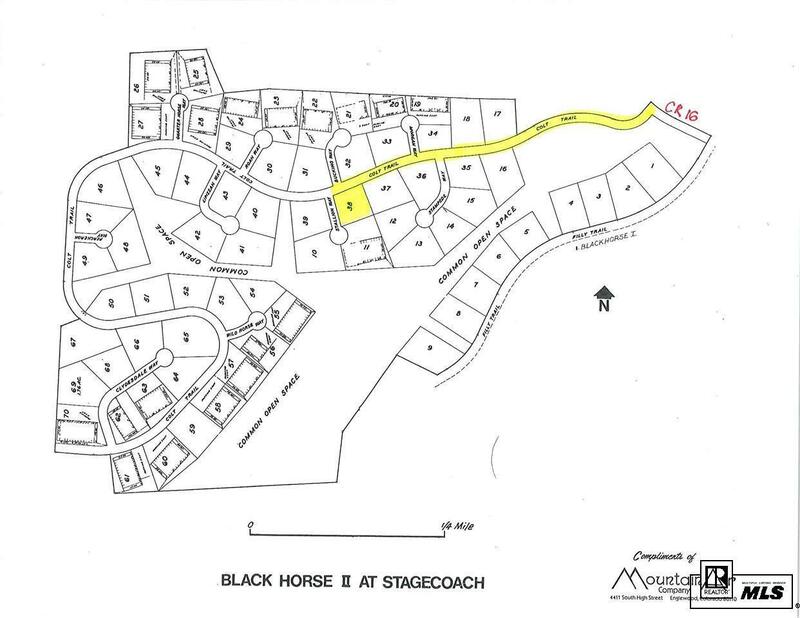 Nestled back in the foothills of Green Ridge National Forest and hugged by Bushy Creek quietly sits the Gem of Stagecoach - Black Horse II with over 50 acres of shared open space! Secluded yet quite accessible, located only minutes from the proposed Stagecoach Ski Area and about 12 miles from the town of Oak Creek. Yampa Valley Regional Airport, offering direct flights to major cities, is also within striking distance. This offering welcomes the eco-minded and those habitants respectful of the existing natural rustic surroundings. Homes here are built with sense of simple rustic design, preserving open space and the surrounding pristine views by blending flawlessly with the beautiful landscape. This generous 1.14 ac lot awaits you to build your retreat home where you can enjoy peace and quiet among groves of pine and aspen.